In a perfect world, people would be color blind when it comes to race, but preppers are just like everyone else and I don’t think you can generalize and say that preppers are not prejudiced. Some of them are and some of them aren’t. Just as you said, “Preppers span the entire spectrum of age, race, income, occupation, education, and every other demographic you can consider.” including racists. I wish Bill well and also would advise prudence in advertising what you are doing. Keeping a low profile when it comes to preps is only good sense. Thanks for adding a valuable extra element of sense to my possibly too starry-eyed positivism. You are of course correct. I should have said ‘preppers are less prejudiced’. I prep on a small budget. I support myself and my husband on just under 12k a year. I am on disability and my husband is going to school. You have to be extremely frugal and creative and also eager to do things not classified as the norm in society. I wear t-shirts until they have holes in them the size of the palm of my hand then I cut them up and use them as rags. I barter like a crazy woman, I visit food pantries and stock up on sale items, dented cans, etc. I make my own laundry soap, mouth wash, hand soap and 99% of my meals. Baking soda is often my go-to item for most of my domestic problems. I mow my lawn with an antique push reel mower. I garden and I also ask people in the community who have fruit trees and nut trees if I can pick anything unwanted. I can, I freeze, and I dehydrate. I establish good name relationship with people in the community and I can often get things I need on payments or at cost. Now I know it sounds like I am a free loader but that isn’t the case. I shovel snow for my neighbors, mow lawns for the elderly, give away things that I find to barter with to people in need. I give away my time and my knowledge for most people I meet and it pays back in the end, for example, I gave away a case of potato salad I had gotten from someone who gave it to me, in return I had gotten some canned goods for my stockpile. I hope this helps a bit on some of the different ways a person on a small budget can prep. PS. My house is paid off (no mortgage) and my utility bills are almost always less than $100 a month. some preppers are racist. others are not. and depending on what scenario blows up in all of our faces, that could be a serious issue for you. you are wise to ask. 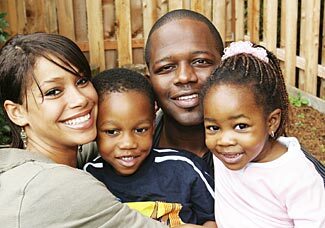 the one thing i can suggest: make sure your family is an integral, contributing, valuable part of the local community. be a regular, common presence in town. attend football games at local high school. show up at local ag fairs. join local church. get your kids into 4H. drive kids in carpools. have a chat with local law enforcement from time to time or at least say hello to them often enough to be known. make sure all family members know how to properly comport/behave themselves in town. the more people are familiar with your faces and consider you/family to be a positive/valuable contribution to the town, the less likely you are to have trouble. am rather poor myself. so thank you for asking about that side of prepping, as you caused a relevant & helpful article to show up here.